Performance: https://mega.nz/#!Fl4iyDYB!kf7FBXKguLNC_JMdd7UU5IoMDG4-9HYcKDFwIARRPfg Award ceremony: https://mega.nz/#!oo5ElLjK!QmF8hNvEyaQ8CPDkCTYkYjn53bIxU242PWAOSVbiMew For bonus points, keep an eye on Gfriend when T-ara is declared the winner. I'd go as far as to say this is the best news for T-ARA ever since the so-called "scandal". Wang Si Cong obviously has strong opinions on how entertainment companies should run their business and their artists, and I'm ready to believe he wants only the best for the girls. He also has an almost bottomless bank account to invest in publicity, concerts, travelling around the world etc. T-ARA World Tour, anyone? I teared up a bit at that point. It was so great to hear the fans go absolutely bananas for her! I love these moments when the carefully trained facade cracks for a moment, and you get a glimpse of the true feelings, of the true personality behind the idol's shell. 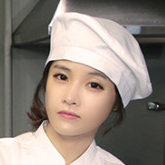 Boram's "you gotta be ****ting me" laugh is so awesome I must have listened to it something like 30 times in a row. Just one of the reasons I love her; she's not afraid of letting her feelings show on her face and in her actions. Pout pout pout!